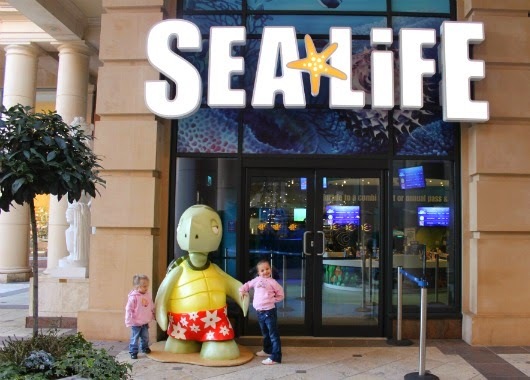 Last week we were invited to the Sea Life Centre at the Trafford Centre, in Manchester. 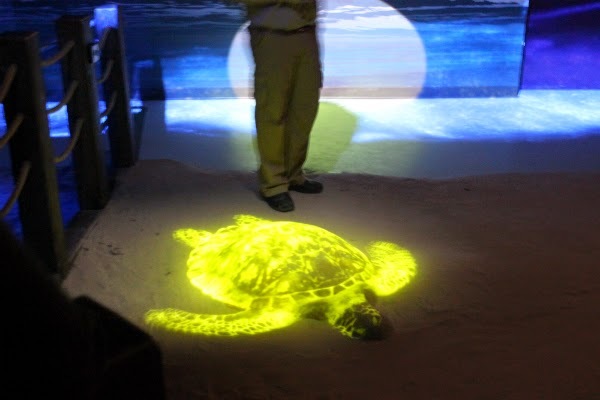 They were launching the new exhibition, 'CLAWS', and they wanted US to be one of the first to see it. 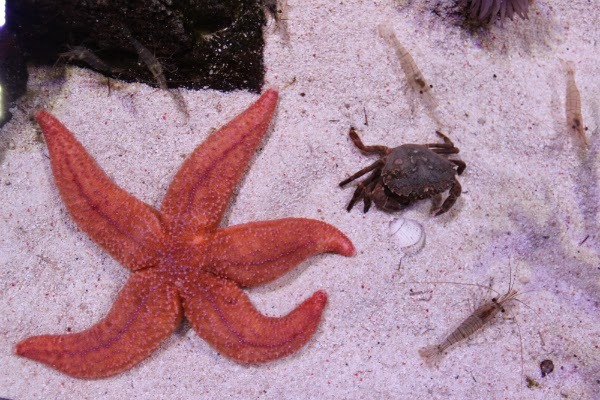 'CLAWS’, which is replacing the stunning and hugely popular starfish exhibit, is on its way from Sea Life Paris and displays some of the world’s most exciting crustaceans. The Rainbow Crabs dazzle with their vibrantly coloured shells, a fresh water creature they feed on nuts. The small but powerful Mantis Shrimp has a punch as powerful as a .22 bullet, they can even break bones with it. They stun their dinner with it as their claw travels at the equivalent of 100kph. On the night we visited, I heard it crack a mussel, but didn't actually see it, It really did sound just like a gun had gone off. Stunning to look at, the rare albino lobster, is a white version of the traditional native lobster you may see at your local seafood restaurant and would traditionally be a blue-grey colour. 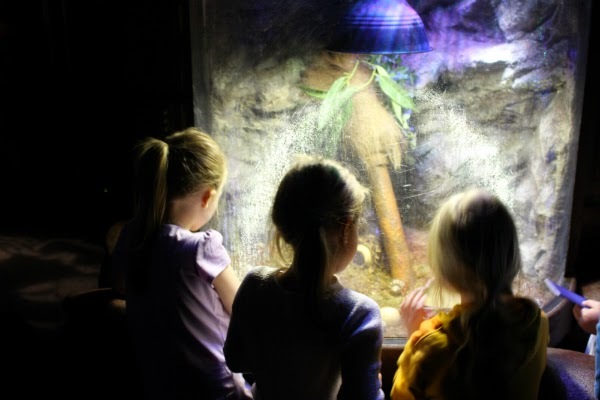 The Hermit Crabs are also interesting creatures, they live on the land and require a humid environment which includes both salt water and fresh water, without these key features they’ll struggle to survive. 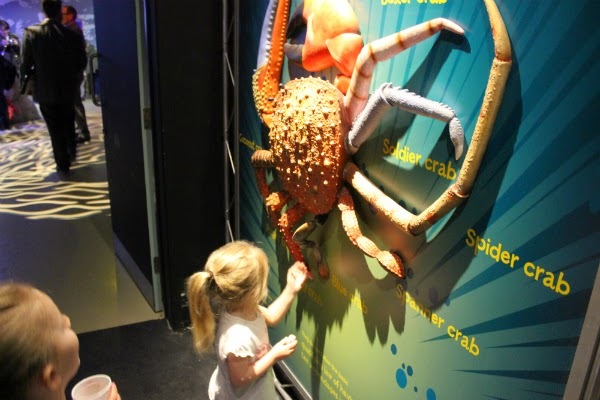 Hermit crabs will leave their shells to find a new home which is larger and has more space to grow. J found these really interesting, and sat and watched them for a good while. 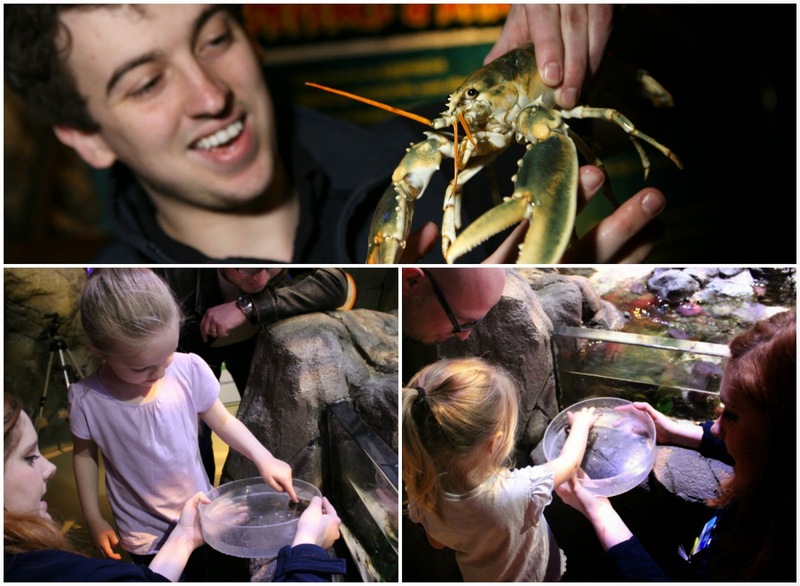 After the talks, and demonstrations of the mantis shrimp, we were then able to touch and stroke the crabs, in the touch and feel pool. The staff were really good, and popped some in bowls for the girls to be able to reach comfortably, and explore with ease. 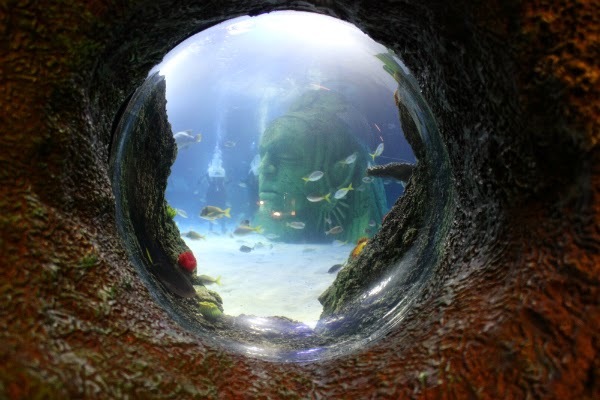 As well as the new residents, the aquarium has 5,000+ creatures to discover including sharks, seahorses, octopus, jellyfish and rays. 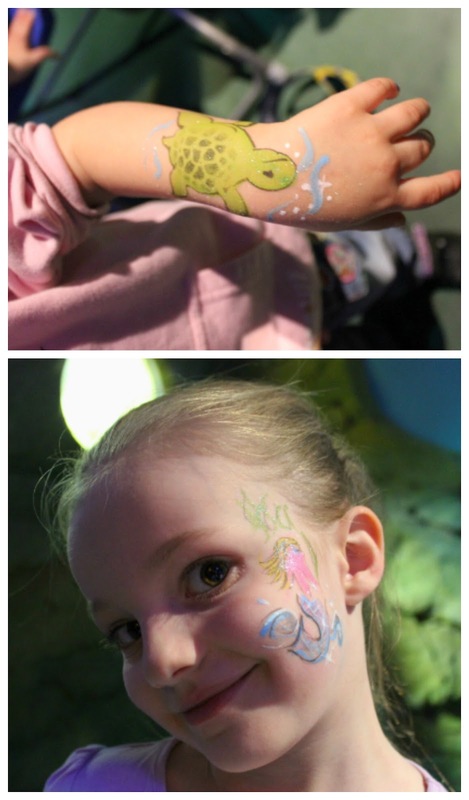 The girls loved exploring the aquarium. I was whisked away for a special dive, which I will blog about separately. 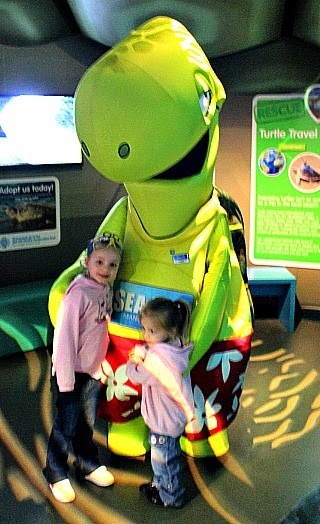 Daddy held the fort with the girls, as they discovered all about the turtles, which both girls are now obsessed about. And learning about the size of other fishes, including a Tiger shark. 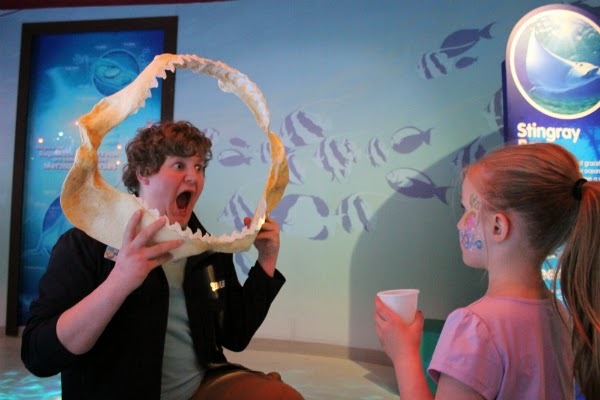 This is the jaw of one, and as demonstrated, it could have swallowed J up, but would have struggled on a grown man, due to the shoulders, the staff were great at getting the girls intrigued. 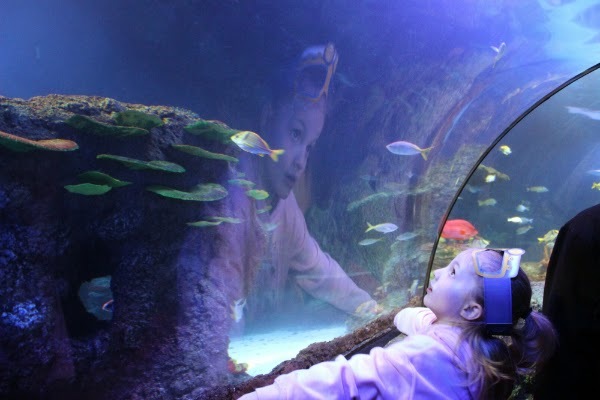 The exhibition launches in time for Easter so families can have fun and learn during the holidays whilst being truly amazed by the magnificent marine life. Online tickets start from £9.95. Children under 3 years go free. *Online prices vary depending on the time slot chosen, and can be booked here. This is actually really good! 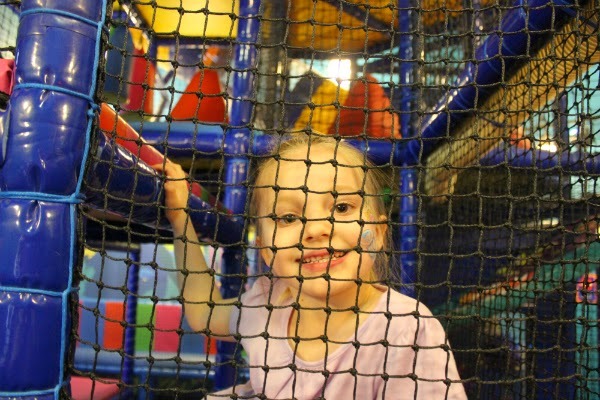 I always complain there is not many places you can go with kids nowadays but I love this one! Fun and educating! It really is both fun and educating at the same time. Some people can be in and out really quick, and others can spend hours, it really is what you make it. We loved it.